Diana joined Tungsten Wealth Management in March of 2018. 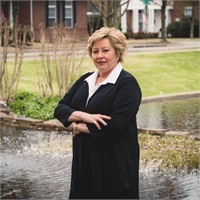 Prior to joining Tungsten Wealth Management, Diana was a Vice President and a Trust Officer for a Northwest Arkansas Bank for 14 years. My greatest pleasure was building relationships and being able to help my clients. Simple tasks like shopping for shoes for a client who was in rehab and not able to go out herself. Making phone calls and visits to those who have no one else and seeing the joy on their face always warmed my heart. Diana has worked in the investment industry since 1990. Diana is a graduate from Cannon Trust School. She has been on the Board of Legacy Village in Bentonville, Lifeline of Northwest Arkansas and is a member of the Ladies Auxiliary of Circle of Life Hospice in Bentonville. Diana has been married to her husband, Kenn, going on 24 years and have one son, Greg. Diana and Kenn enjoy golfing, camping, fishing and kayaking.